This is a picture I’m tempted to print, frame and put on the wall in the office. Not only is it beautiful and peaceful, it is also filled with joy. You’re right, it is. We took it on the first day he was in that field by the lake, right after we’d led him there. We think maybe he had never seen a lake before. 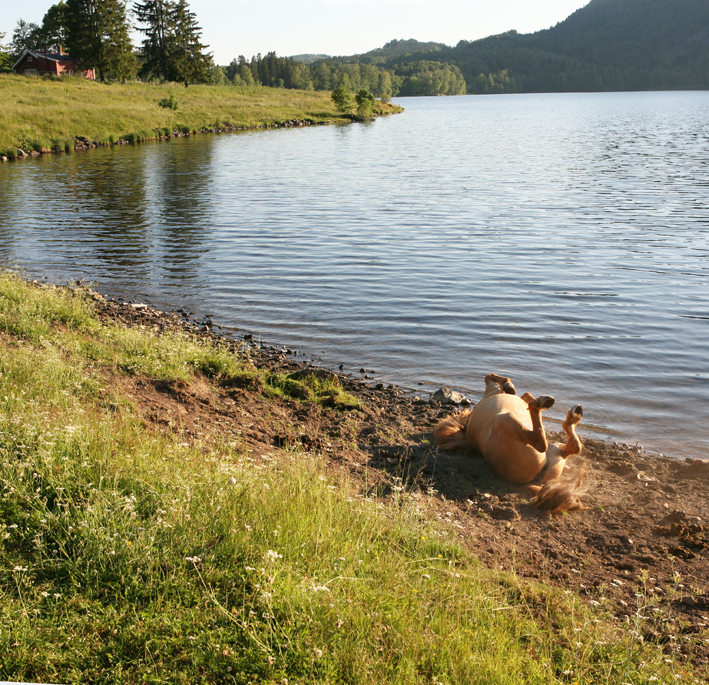 My dog always used to roll like that when he found a dead fish on the shore. He was always so proud when he could get a dead fish smell on himself. I wonder if all dogs do that or if he was unique in that way.